Universal Centrifuge Archives - LABORSCIENCE A.E. Αυτό το προϊόν βρίσκεται ήδη στα αγαπημένα! 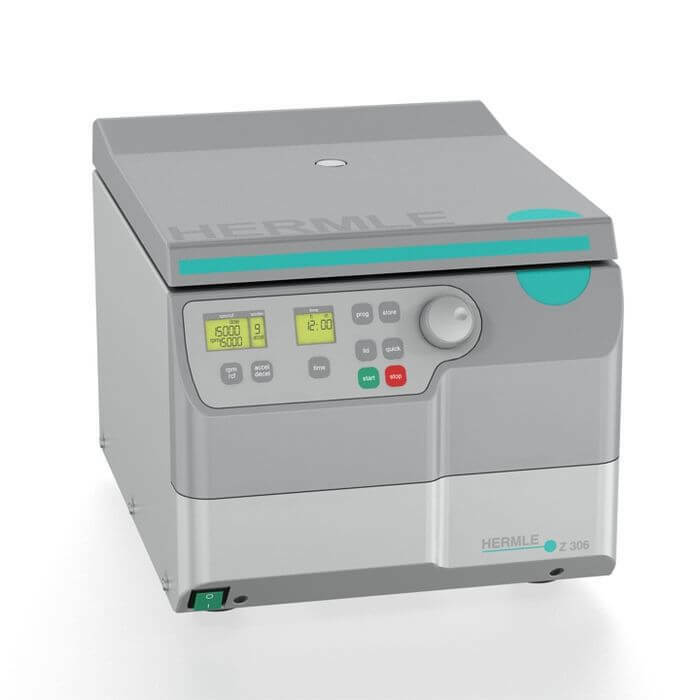 The small universal laboratory centrifuge offers a wide range of applications, which covers clinical laboratory requirements,research, as well as industrial laboratory use. The Z 306 offers many accessories, including rotors for microtitreplates and high-speed fixed angle rotors for reaction vessels or centrifuge tubes up to 50 ml. Additionally, swing out rotors, which hold a volume of 4 x 100 ml can be used for tissue culture tubes and also for all commonblood tubes.